Our Company | Allied Construction Associates, Inc. Founded in 1988, Allied Construction Associates, Inc. is a family owned and operated commercial building contractor serving the greater Seattle area. Founding President, Scott Bjella, has developed Allied into a debt-free company with a bonding capacity up to $100 million. We offer complete construction services from pre-construction management during the design phase to general contracting through the construction phase. Allied is dedicated to providing our clients with excellent value and high quality work at a reasonable price. Our attention to detail and reliability ensure we exceed our clients’ expectations on every project. Hard work, dedication and respect are qualities which have earned us a reputation for completing work on time and under budget. We are thankful to be able to work within our community to build the structures of tomorrow and we look forward to a bright future for us and the clients we serve. 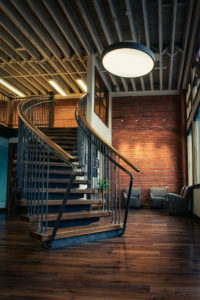 Allied’s home office is housed in the fully restored National Historic Registered "McCabes Building" at 3120 Hewitt Ave, Everett, WA, 98201. Find out more about this historic building.